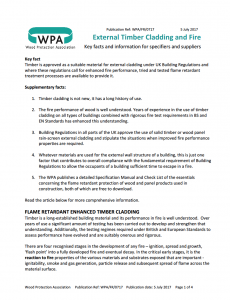 The Grenfell Tower disaster has raised questions about the fitness for purpose of building regulations and the materials used to clad buildings. Inevitably, the use of wood and wood based panels for external cladding is under scrutiny. In response, the WPA has published this key facts and information sheet.